Voice assistant-powered smart speakers are fast-taking over not just the wider tech industry but the mainstream consumer tech one as well. You can’t buy a phone today without one and you only need walk into your nearest JB Hi-Fi to be inundated with ads for the dozens of smart speakers, smart displays and even smart TVs that come with integrated voice assistants. Like the name suggests, a voice assistant (also known as a smart assistant, virtual assistant or digital assistant) is a virtual, personalised bit of software (usually built into a phone or speaker) that you can interact with using your voice. Just as you would with a real assistant, you can ask a voice assistant questions and ask it to do certain things. The idea here is that interacting with a virtual assistant using your voice is naturally more intuitive than typing instructions and that by relying on an voice assistant, you can save yourself time and effort. How many voice assistants are there? There are dozens of different voice assistants out there. To help with categorisation, we’ve broken these assistants down into three tiers. The first tier consists of Amazon’s Alexa and the Google Assistant. These are the two biggest players in the voice assistant space and by far the most popular. 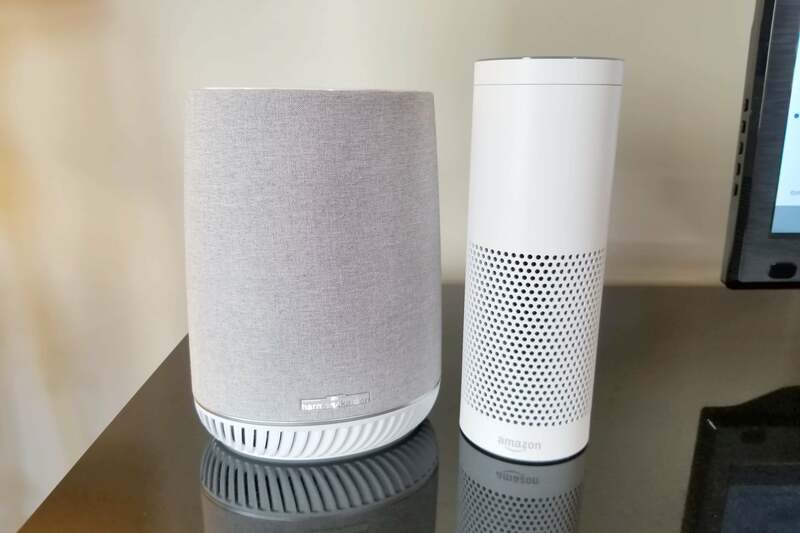 If you’ve encountered a voice assistant in the past, it was probably one of these two. The second tier of voice assistants accounts for major voice assistants that, while popular, lack the critical mass afforded to those in the top-tier. This includes stuff like Apple’s Siri, Microsoft’s Cortana, Samsung’s Bixby and Baidu’s DuerOS. Then, you’ve got everyone else. Third-party based assistants that only run on a single piece of hardware, if that. There are far too many voice assistants in this tier to list here but the common thread that ties them together is the shared-degree of hyper-specialisation. The Google Assistant can answer questions, play music, check the weather, set reminders, consult your calendar, read you news bulletins and interact with both connected smart appliances and compatible third-party services. What do I need to use this voice assistant? The Google Assistant can be installed on any Android smartphone and comes pre-installed on any Assistant-powered smart speakers like the Google Home and smart displays like the Google Home Hub. You can read our guide to setting up the Google Home here. Read more: One year later, Alexa is still the only voice assistant for the Sonos One. Amazon Alexa can play music, get news and sports updates, check the weather and remotely control your smart home devices. 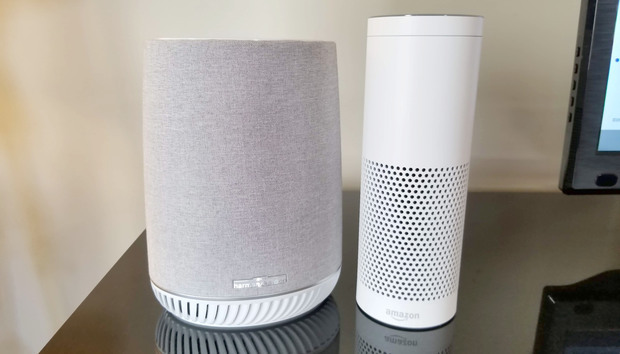 You can also connect your Alexa to Alexa Skills, which allow you to connect the voice assistant to third party services and put together your own custom Alexa Skills using Blueprints. Amazon Alexa can be installed on your smartphone via the official Alexa app (available on both iOS and Android) and comes pre-installed on Alexa-based smart speaker hardware like the Echo and Echo Plus. As part of a new partnership between Microsoft and Amazon, you can now also access Alexa through Windows 10. Like other smart assistants, Cortana can tell you the weather, answer questions (using Bing), schedule appointments, translate languages, set alarms and launch programs. Cortana can even modify some of your PCs system settings, like turning your Wi-Fi off. Cortana comes built-into the latest version of Windows 10, allowing you to use it from your desktop by tapping on the start menu icon. Cortana can also be installed on your phone through the official app, which is available on iOS and Android, and is pre-installed on the Harmon Kardon Invoke smart speaker. As part of a new partnership between Microsoft and Amazon, you can now also access Cortana through Alexa-enabled smart speakers. At face value, Bixby can do a lot of the same things as the Google Assistant and Alexa - but it’s set up in such a way that you have to have enough Samsung products to get the fullest value from it. It can answer questions, control (Samsung-branded) smart appliances, give you directions, translate foreign languages, dictate notes and set alarms. Bixby can only be used on select Samsung Galaxy smartphones like the Samsung Galaxy S8 and Samsung Galaxy Note 9. It will also soon be available on Samsung’s first smart speaker, the Galaxy Home. Apple were the first mainstream tech company to launch a smartphone-based voice assistant with Siri. They’ve lost ground to the competition in recent years but their assistant does still know a few tricks. Siri can answer questions, book appointments, play music, tell you about your day and the weather and even identify songs (now that Apple have bought Shazam). Siri is Apple’s smart assistant and in order to use it you’ll need an Apple device. Siri is available on both the iPhone, iPad and recent versions of MacOS. Siri can also be accessed through the Apple HomePod smart speaker. For more on how the HomePod compares to the Sonos One, click here.